Blessed Solstice to you all. For those of you who haven’t met me yet, I’ve have stepped in to help as Regional Druid when Rev. Sean took a well needed, and deserved break. If you have any questions, or need any assistance, please feel free to contact me at adf-northwest-rd@adf.org and I’ll do my best to help. Winter is quite definitely here, and the reminders of the season are all around us. Here in California, we have been getting a lot of glorious rain and it’s been nice and cold! By now, most of us have had our Solstice/Yule rituals, but if you haven’t had a chance to attend one or do one on your own, Rev. Davin macLugh has posted a ritual that you can do alone. You can find the link to that in our new Resources section. This section is dedicated to sharing fun stuff that we find on our ADF website or around the web that can be handy for ADF druids. If you’d like to submit something for this section, please email us at adfevents@gmail.com with the info! What Does the Winter Solstice Mean to You? This newsletter, we asked our region what this High Day means to them. “At the Winter Solstice I like to call upon the Welsh deity, Lleu Llaw Gyffes. In the Mabinogi tales he is run though with a blessed spear by a rival for his wife’s heart and instantly turns into a wounded eagle. As such he flies away in pain and agony, only to end up at the top of an oak tree on top of a hill. There he is found by his uncle Gwydion and restored to health. This story, to me, reflects our sun as it weakens almost to death but then, at the Solstice, begins it’s journey back to brightness, warmth, and good health. of the longer days and the anticipation of the return of warmth. It doesn’t snow in Sacramento, but it does get cold from mid-December through mid-January. I personally do not celebrate winter solstice on the date, as I actually celebrate the Scottish holiday Hogmanay. Hogmanay is the traditional new year celebration held on New Year’s Eve, and it is still celebrated today in Scotland. I celebrate the holiday by cooking a prime-rib roast for the family. Looking to add some chants or music to your rituals? The ADF site Ritual Chants page has links to chants and songs for the different parts of the COoR ritual! Many of them have audio clips as well so you can learn the music. Need a ritual that you can do on your own? Rev. Davin MacLugh’s Tumblr blog – By Fire Well and Tree – hosts his thoughts of different aspects of ADF Druidry as well as rituals written to do by yourself. 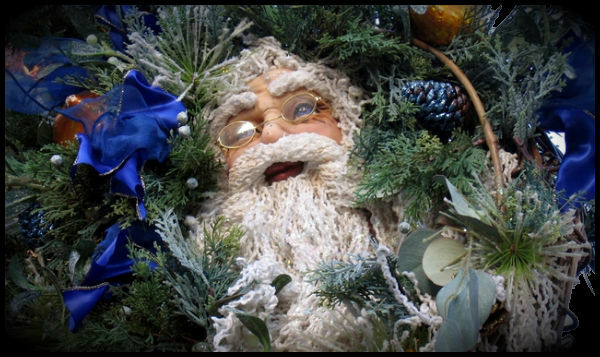 Check out his Winter Solstice Ritual! Email adfnwevents@gmail.com to get your items added!